Hurricane Charley's Raw Bar and Grill is a Florida beach bar located in Punta Gorda. Discover this great Florida beach bar. Pull into the large parking lot at the PG Waterfront hotel, walk through the doors and straight back to Hurricane Charley’s. That’s the inside bar. The real treat is walking outside to this open air Florida beach bar. The doors open to an outside dining area and bar all situated under a sprawling tiki hut. This bar is appropriately named Hunker Down Bar. Hurricane Charley’s is right on the water of Charlotte Harbor. Hurricane Charley’s is named after the 2004 Cat 4 hurricane that did major damage to Punta Gorda. This Florida beach bar has a large bar that will make you a hurricane of a different kind, one that you can drink. There is a full menu offering everything from pizza to shrimp. The food is good and the wait staff is friendly and attentive. Hurricane Charley’s has a laid back atmosphere that gives you the feeling of a tropical island bar. When the sun sets, it’s time to party with live entertainment featuring some of the best local bands around. There is live music every day of the week and it usually starts at 6:00 pm. The sports fanatic is not forgotten either as there is live sports on the TVs every day. This Florida beach bar is the perfect place to enjoy a relaxing beach bar experience. Come by boat or car. Hurricane Charley devastated Punta Gorda and the city has made a beautiful come back. 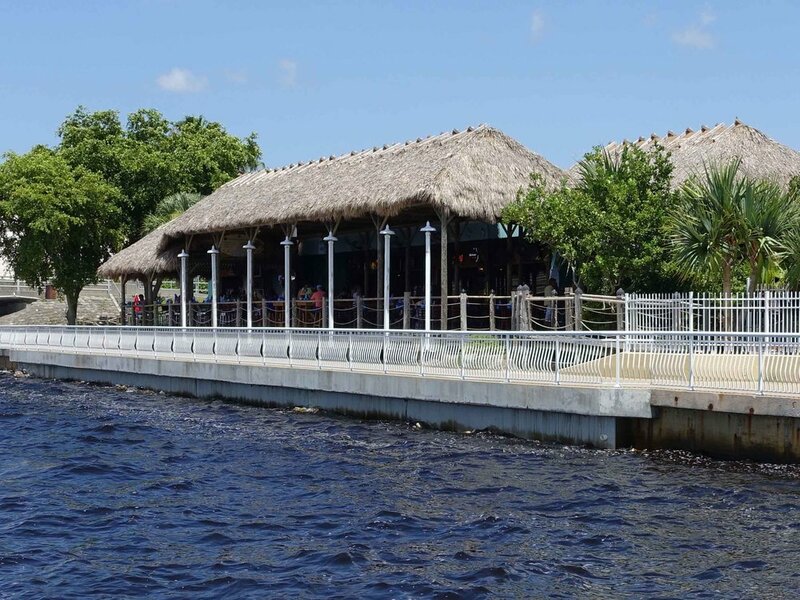 Show your appreciation and support and visit this waterfront tiki bar.